Approximately 35 species of snakes live in Indiana. Most of them are harmless. 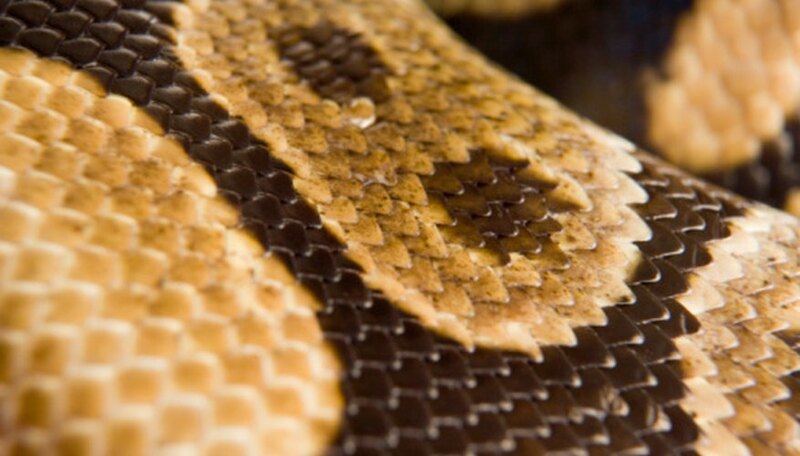 Of the four species of venomous snakes that live in the state, only one is both widespread and not endangered. Snakes found in Indiana should be left in the wild, as a state law protects non-game amphibians or reptiles from being collected without a valid license, and the majority of the state's snakes cannot be collected even with the appropriate license. The northern water snake inhabits the northern half of Indiana, while the midland water snake can be found in the southern half; they are subspecies of the same species. The queen snake can be found in northern and eastern Indiana, as can the Kirtland's water snake, which is endangered. The southern black racer lives in southern Indiana, while the blue racer lives in northern Indiana; they are subspecies of the same species and their ranges overlap in the middle part of the state. Another pair of subspecies is the red milk snake, which lives in the southwestern corner of Indiana, and the eastern milk snake, which makes its home throughout the state. Black rat snakes can also be found throughout Indiana. The northern copperhead ranges throughout the southern half of Indiana. It is the most common venomous snake in Indiana and can be found in rocky, dry areas or in old buildings or barns. 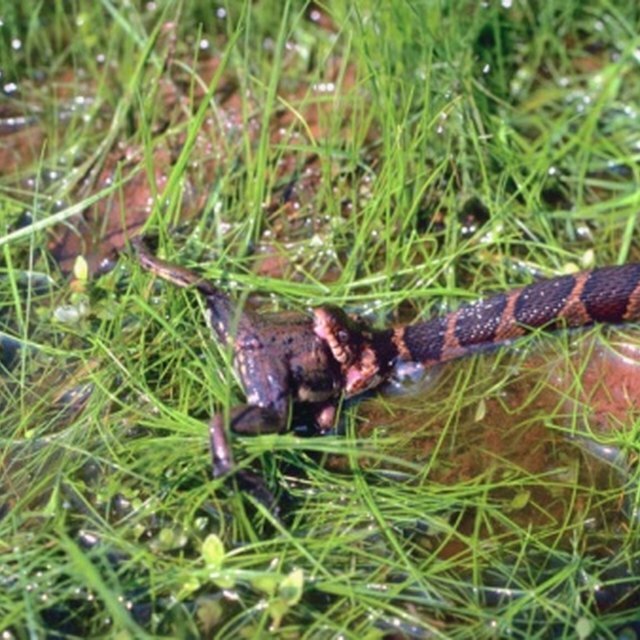 A small population of western cottonmouth snakes live in a south-central area of Indiana. The eastern massasauga rattlesnake in Indiana lives in the northern third of the state and might be found in fields or woodlands, but it is endangered in Indiana, as is the timber rattlesnake. The midwest worm snake and the northern ring-necked snake live in southern Indiana; the latter can also be found in a small area in the northwestern part of the state. The rough green snake can also be found in southern Indiana, while the smooth green snake's distribution is limited to a few areas across the state. The eastern hognose snake can be found throughout the state in sandy areas; this snake, also called the puff adder, can "play dead" if it feels threatened. In the northwestern corner of the state, one can find the fox snake, while the black kingsnake in Indiana -- which kills and eats poisonous snakes -- lives in southwestern portion Indiana. The midland brown snake and the eastern garter snake are both distributed throughout the state. The northern ribbon snake and the eastern ribbon snake are two subspecies that can be found in their respective areas of Indiana. Gambrel, Ellie. "Snakes Common to Indiana." Sciencing, https://sciencing.com/snakes-common-indiana-8541712.html. 17 September 2018.